Why Train Neck for Baseball? I know what you’re thinking: “Baseball isn’t a contact sport, why do I need to train neck?” Let’s dig a little deeper into the problem. Yes, baseball is not a sport where you will have many direct head injuries but more muscle strains in the neck trying to overthrow, overswing, or dive for a ball. Why does this occur? The strains happen from trying to throw or swing as hard as they possibly can and not being able to absorb the shock from landing on the ground. This is due to muscle imbalance. The neck muscles connect from the base of your skull all the way down to your lumbar spine. The muscles are called Longissimus Thoracis and Longissimus Cervicis. Those are the deep muscles that connect directly on the vertebrae from the cervical spine to the lumbar spine. Training the neck solves imbalance in the cervical area to help create more torque. Every baseball player trains the big muscles like the quadriceps, hamstrings, shoulders, chest and core. Why not the neck knowing it all connects? Baseball is a multi-directional sport but mainly rotational and lateral. 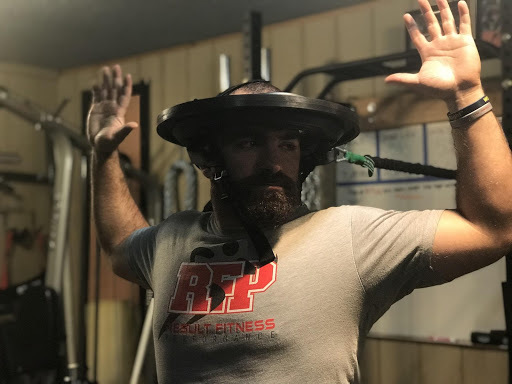 The neck requires a high level of isometric strength and cervical stabilization and is able to move across all three movement planes: coronal, sagittal and transverse. By training in these movement patterns, this will help the head decelerate, reducing risk of injury. Creating strength, mobility, and stabilization will greatly increase the ability to generate torque and increase absolute force value. Two major components in the sport of baseball. As the body moves, your neck remains stable. Only training the muscles directly involved in the throwing motion and not training the muscles around the neck will result in muscle imbalance and increase risk of injury in the neck area. An athletic body is only as strong as its weakest link. In order to hit an elite level, the small muscles must be as strong as your bigger muscles. How do you train the neck for baseball? First, before you get into advanced exercises, master the foundational movements using the Iron Neck. I took the breakdown of the movements and added neck stability into it. When you throw, you get into what I like to call a ‘Flex T’ Position with your arms. Holding that position will work your upper back and rotators of the shoulders. Holding that position, add cervical rotations to gain strength through stabilizing your glenohumeral joint and isometric strength in your upper back. *Perform 5 repetitions in each 90 degree direction. *To increase the difficulty of this, add bottoms up kettlebells to increase the stabilization of the exercise. Bottoms up Kettlebell components adds a ton of stabilization through your glenohumeral joint and grip strength. Utilizing the movement of swinging a bat, we are using banded rotations with isometric cervical strength. After 10-15 repetitions, we turn the core rotation into an anti-rotational hold with cervical rotations. This will increase isometric strength/stability in both your neck and core while improving rotational power as well as mobility in your neck. Another way to create stability in your glenohumeral joint and cervical spine is using banded shoulder circles. The Iron Neck provides isometric strength in your neck and also serves as a tool that doesn't allow you to sway to use momentum. Switching to isometric shoulder strength and cervical rotations allows multiple use in one exercise. I love cervical rotations because it serves as a strength through mobility exercise. *to increase difficulty here, replace cervical rotations with Figure 8’s. Combining strength exercises with neck isometrics is a great way to isolate specific muscles. In this next circuit, we’re using traditional strength exercises that just got much harder because we cannot use momentum to move the weight because of the isometric contraction of the neck. This will result in more range of motion, getting better, healthier, and stronger with lighter weights. This is a little more advanced and why I put it here fourth. Bulletproofing the upper back is crucial for rotational athletes and tremendous for your posture. Here we are just using simplicity for effectiveness. You don't need to perform these exercises with a lot of resistance when you begin. Over the course of a couple of months you should see an increase in the level of resistance that you can perform these exercises against while maintaining stability. The heaviest Iron Neck band maxes out at 50 lbs. I've found the Intermediate band, which maxes out at 35 lbs, to be the best to work with with my high school and college athletes. In most of my high school athletes, we're starting around 10 lbs to ensure proper form and are seeing most kids work up for 25-35 lbs in a couple months. 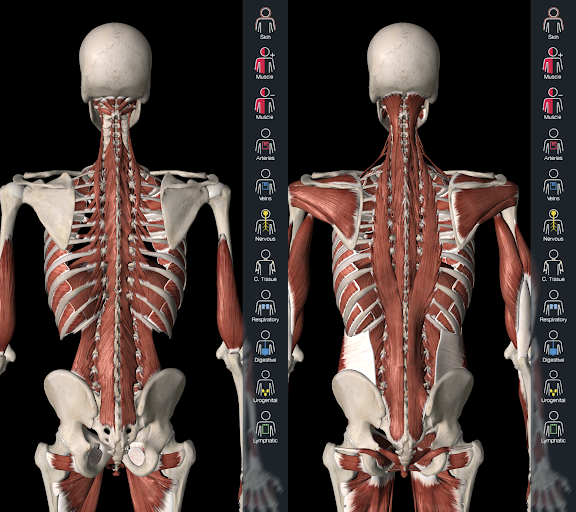 Tracking these improvements now gives me a more precise way to systamatically track strength gains in the neck. Incorporate these exercises into your training and share your results.